YOKOHAMA, Japan -- North American operating profit sank at Nissan Motor Co. in the latest quarter, despite rising sales, as higher costs and fleet sales pinched margins. North American sales climbed 14 percent to 405,000 units in the fiscal fourth quarter ended March 31, 2012, as Nissan rebounded from last year’s devastating earthquake in Japan. 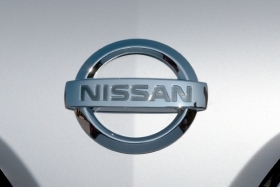 But regional operating profit declined 30 percent to 33.5 billion yen ($407.2 million), from 47.6 billion yen ($578.6 million) in the same period a year earlier, Nissan announced May 11 in its fiscal full-year earnings report. Nissan CFO Joseph Peter said North American profit retreated amid higher costs to renew the brand’s lineup. “If you look at some of the costs we have in terms of bringing our product cycle up to speed, we had a heavier cost load in the second half and fourth quarter,” Peter said. Margins were further undermined by the fact that several products, including the Altima sedan, are coming to the end of the their product cycles before being renewed this year. “We should expect to see the benefit of that as we move forward,” Peter said of the upcoming model changes. Also, Nissan usually books its highest concentration of lower-margin fleet sales in the fourth quarter, Peter added. Looking ahead, Nissan expects North American sales to climb 8 percent to 1.52 million units in the current fiscal year ending March 31, 2013, from 1.404 million last fiscal year. Global sales at Nissan and Infiniti are forecast to advance 10 percent to a record 5.35 million vehicles this fiscal year. Meanwhile, net income is seen improving to 400 billion yen ($4.86 billion), up 17 percent from 341.4 billion yen ($4.15 billion). Nissan predicts worldwide revenue will increase 9 percent to 10.3 trillion yen ($125.2 billion).